This is so awesome. The Sloan Program in Microbiology of the Built Environment is offering a pair of postdoc fellowships to work on the microbiology of the International Space Station. Summary of the call is below, the compete information packet can be downloaded here. And if that’s not cool enough, the next blog post is going to be about some parallel opportunities from NASA. Great time to be thinking about space microbiology! The Alfred P. Sloan Foundation announces a funding opportunity in its Microbiology of the Built Environment (MoBE) program, the Sloan ISS MoBE Postdoctoral Fellowshipâ€•Research Opportunities for Post-Doctoral Fellowships in Space Biology to Study the Microbiome of the ISS as a Built Environment: Using ISS as a Microbiological Observatory. This solicitation invites proposals for Sloan ISS MoBE Postdoctoral Fellowships from potential postdoctoral fellows to conduct studies to characterize microbial populations isolated from the International Space Station (ISS). Selected studies will provide insights into how microbes and microbial populations adapt to spaceflight. Proposed experiments will use microbial isolates collected from the ISS that have been archived at the Johnson Space Center. Studies must advance the goals of NASA’s Space Biology program and the Alfred P. Sloan Foundation. NASA and the Alfred P. Sloan Foundation (hereafter “Sloan”) have a shared and synergistic interest in promoting microbiology research that that will enhance scientific understanding of the Microbiology of the Built Environment (MoBE). NASA and Sloan have entered into a Space Act Agreement to facilitate this work. The goal of the Sloan MoBE program is to grow a new field of scientific inquiry in the complex microbial ecosystems found in human built and occupied environments. The Sloan program objectives are described at http://www.sloan.org/major-program-areas/basic-research/mobe/?L=0. The goal of NASA in this area is to build a better understanding of the effects of spaceflight on microbial ecosystems in spacecraft such as the ISS to prepare for future exploration missions far from earth. NASA-sponsored research in this area is guided by recommendations of the National Research Council (NRC) which in 2011 published research priorities for the next decade in “Recapturing a Future for Space Exploration: Life and Physical Sciences Research for a New Era” (hereafter “Decadal Survey”) at http://www.nap.edu/catalog/13048.html. 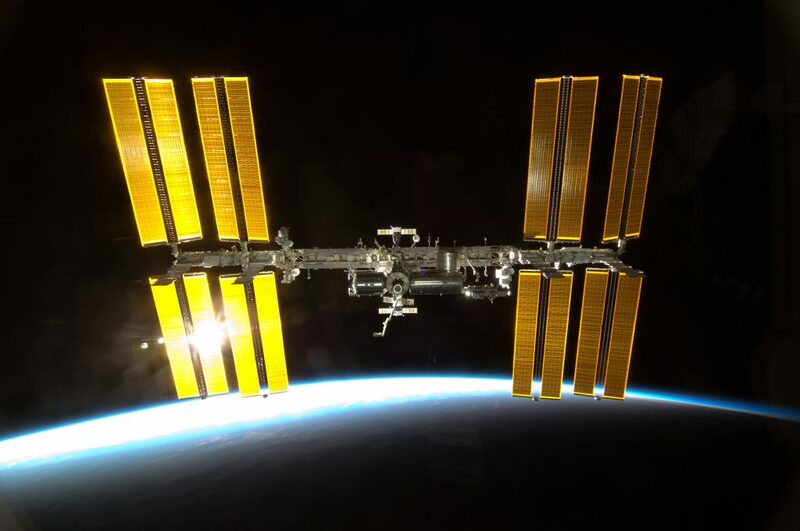 The Decadal Survey recommended that NASA “establish a microbial observatory program on ISS to conduct long-term multi-generational studies of microbial population dynamics. Sloan anticipates awarding two grants. The Sloan ISS MoBE Postdoctoral Fellowship program provides a $140,000 award, payable in two $70,000 installments. Funds are normally expended over a period of two years after the appointment of the fellow. Charges associated with indirect costs or institutional overhead are not allowed. The stipend support for the fellow should be at least $54,000 of the total annual award amount (stipends may be supplemented from institutional or other sources). $6,000 is provided as a stipend to the fellow for travel or research expenses. Fringe benefits from this award may not exceed $10,000 per year. In the event that institutions/laboratories receiving the Sloan ISS MoBE Postdoctoral Fellowship award have higher rates for fringe benefits, the institution must provide the difference. Proposals will be accepted from graduate students in their final year of their PhD or equivalent degree program, from postdoctoral fellows (PhD, MD, DDS, DVM or equivalent doctoral degree from an accredited domestic or foreign institution) or from applicants who received a doctoral degree within the past 2 years, but have not yet had postdoctoral training. Applicants must have no more than 4 years of postdoctoral research experience at the time of the initial or the subsequent resubmission or revision application. The program is open to U.S. citizens, permanent residents, or persons with pre-existing visas obtained through their sponsoring institutions that permit postdoctoral training for the project’s duration. Sponsoring institutions must be U.S. academic, government, or commercial institutions that will provide appropriate mentors. Additional information on the Sloan ISS MoBE Postdoctoral Fellowship program as well as detailed instructions for proposal submission are included at the end of this Solicitation. Pingback: NASA postdoctoral fellowship solicitation to study the microbiology of the #ISS – microBEnet: the microbiology of the Built Environment network.